Tight hamstrings are one of the most common complaints from yogis and anyone in the fitness world. The hamstrings are a set of four large muscles that run all the way from the pelvis to the knees. They’re located along the backside of the thigh and their purpose is to flex the knee and extend the hip. Our hamstrings tend to get tight because we’ve created bad habits over the years. Poorly structured shoes and sitting in various unnatural positions for long periods of time cause the hamstrings to do more work than they’re intended to do. This causes unnecessary pressure, which tightens those muscles and results in less flexibility. When our hamstrings get tight, it not only causes pain and difficulty moving in certain ways; it also affects our posture. When our hamstrings become constricted, it causes the pelvis to tilt forward, which then creates an unhealthy rounding in the spine and too much pressure on the lower back. 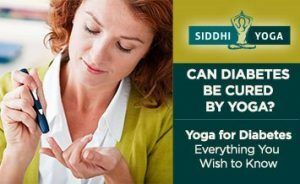 You may be wondering how all of this could affect your yoga practice, right? Yoga is supposed to be good for flexibility and posture, and it is, but tight hamstrings can make it difficult to practice yoga correctly. For example, when we have tight hamstrings, our alignment gets thrown off which can lead to overworked muscles, added pressure to the knees and other joints and sometimes injury. We tend to round our back when our hamstrings are too tight which, as we already pointed out, is hard on the spine and creates even more muscle tightness. There are many different ways to stretch your hamstrings while practicing yoga. However, you might find that you’re not able to get a deep enough stretch during class. If this is the case, you’ll want to take some time to stretch on your own. 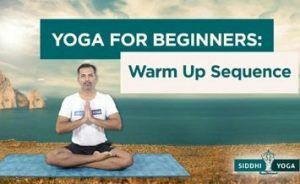 This way, you’ll be able to stay in the asana (pose) for a longer period of time (three to five minutes per pose is ideal). Here are three great asanas that will help you get deeply into your hamstrings. **Note: when practicing yin poses or poses that get deeply into the muscles and joints, such as the three below, it’s important to be very present in your body. Holding poses for a long period of time can often create discomfort. Discomfort is okay; it means you’re getting into your body in a way you’re not used to. However, if at any time you begin to feel pain, come out of the pose immediately. This is one of the best poses for stretching the hamstrings. It works really well because it’s easy to modify. No matter how tight the backs of your legs are, there is a variation for everybody. You’ll need a strap for this stretch. If you don’t have a strap, you can use a scarf or belt instead. Lie down on your back and bring your right knee into your chest. Keep your left leg extended and press it firmly against the floor. Loop the strap around the middle of your foot, on the arch. Make sure it is evenly placed so you can easily hold each end of the strap with either hand. Keeping the strap around your foot, take a deep breath in and slowly begin to straighten your right leg, heel pressing towards the ceiling. You can start adjusting your hands here, walking them up the strap towards your right foot. If you can, move your hands up until your arms are straight. Try not to let your shoulders come up off the ground. Press them into the mat, opening your chest and collarbones. Keep pressing your right heel to the sky. You don’t have to get your leg completely perpendicular to the floor, but you do want to keep your leg straight. That might mean your right leg won’t come all the way vertical, and that’s okay. Only go to your stopping point. If you have tighter hamstrings, your thigh will be a little farther away from your upper body. If you have more flexible hamstrings, the thigh will come in closer to your upper body. Once you’ve found your deepest stretch, bring your attention back to your left leg. Activate the leg, all the way from the hip to the heel, extending it long against the floor. Hold your version of the stretch for at least three minutes. Stay with your breath and continue pressing your shoulders into the mat, away from your ears. You might find that in holding this pose for a period of time, you’re able to stretch deeper, maybe bringing your thigh closer and closer to your upper body. To come out of this pose, bend your right knee and release the strap. Extend your right leg to the floor and take savasana (corpse pose) for about a minute before moving to the next side. Sit on the floor with both legs stretched out in front of you. If you’re especially tight, you may need to place a cushion or blanket underneath your hips to get your legs straight. Bend your left knee outward and bring the sole of the left foot to the inside of the right leg. If your left knee allows it, place your foot against the inside of your right thigh. This might be hard on your knee. If so, simply move the foot lower down the right leg, toward your ankle, until you’re pain-free. Support your left knee with a block or cushion if it doesn’t rest comfortably on the floor. Activate your right leg and flex the foot toward your face. Take a deep breath in and sweep your arms up over your head. As you exhale, fold your torso over your right thigh. Reach your hands and wrap them around the arch of your right foot. If you cannot reach your foot with your hands, use a strap or scarf to loop around your foot. Make sure you’re not forcing yourself into this forward fold. If reaching your hands to your feet is too much, then simply bend to your stopping point. You don’t need to force your body into this pose to get a deep stretch. Wherever you are, allow your head to drop and let your upper body melt toward the floor. Stay for three to five minutes. When you’re ready to come out of the pose, slowly roll back up to a seat. Lie in savasana for a minute before continuing to the next side. Start in Adho Mukha Svanasana (Downward Facing Dog). Step your right foot forward between your hands and come into a low lunge. Keep your hands on the mat, knee directly above the ankle. Lower your left knee to the mat. If you need extra stability, tuck your left toes under. Lift your torso and bring your hands to your hips. Gently adjust your hips so they’re parallel to the top of the mat. Release your hands back to the mat, and slowly begin to straighten the right leg. Keep a micro bend in your right knee and begin to shift your hips back towards your left heel, so that they land directly above the left knee. Dig your right heel into the mat, toes to the sky and activate your right leg. If your hands don’t reach the floor, place two blocks underneath your hands for extra support. Otherwise, plant your hands on the ground. Fold over your thigh until you feel a stretch in your hamstrings. Move very slowly into this stretch. As you move deeper into the pose, you’ll walk your hands closer and closer toward your right foot, hands on either side of the right leg. Stay in your half front splits for about one minute. This is a very intense stretch so you don’t need to stay as long as the other two poses. When you’re ready to come out, gently raise your torso back up and re-bend your right knee. Plant your hands on the mat and step back into down dog. Move around a little bit in your down dog before switching to the other side. There are a lot of great poses to stretch the hamstrings in yoga. However, there are also quite a few ways that might seem like a good hamstring stretch but can actually do more harm than good. When people have tight hamstrings, they’ll often lock out their knees. The thought-process is, if my legs are straight, I must be getting a better stretch. In truth, locking out the joints can be very dangerous. When we lock our knees, we put ourselves at risk for hyperextension, extra stress and injury. Always keep a micro-bend in your knee, especially in poses like Parsvottanasana (pyramid pose) and Utthita Trikonasana (triangle pose). 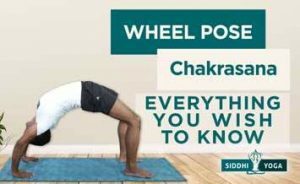 You can assist the slight bend by engaging your quad muscles in these poses. A lot of people, especially if they’re more flexible, will launch into a forward bend from standing too quickly. They end up moving from their lower back, puttingmore pressure on the hamstrings. Because we do this movement so often in yoga, we tend to get a little lazy with it. We round our upper backs, roll our shoulders, lock out the knees, and sometimes sink into our lower backs too much. Even if you’re really flexible, you can do damage to your hamstrings by foregoing the correct form. This creates unnecessary tension in the hamstrings, no matter how flexible or inflexible you are. To do uttanasana correctly, root your feet firmly into the earth. Activate your legs and elongate your spine. Take a deep breath in, sweep your arms over your head, and, moving from your hips rather than your back, gently fold your torso over your legs, keeping the spine long. Place your hands on the ground and move your legs as close to straight as you can, without locking out the knees. Let your head hang, and keep extending your neck towards the earth. Draw your shoulders down your back and try not to round your spine too much. There are some poses that seem like great hamstring stretches, but if you’re tight in the hamstrings, you won’t reap any benefits because you won’t be able to find the right alignment. 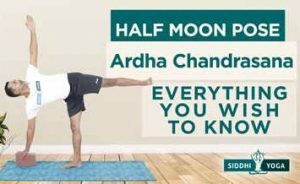 This happens in poses like Parivrtta Trikonasana (revolved triangle), Utthita Hasta Padangustasana (extended hand to big toe balance) and Krounchasana (heron pose). When we take a pose like extended hand to toe balance or heron, we end up either splaying our hips to the side or rounding our backs too much. And forcing yourself into revolved triangle puts a lot of pressure on your knees and hips. 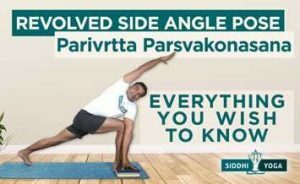 If you’re losing your alignment, there’s a good chance your body is simply not ready to take on that pose yet. And that’s fine. Yoga isn’t about getting into the most advanced poses. It’s about being able to sit with yourself and be in your body, exactly as it is. When it comes to stretching the hamstrings, don’t be afraid to use modifications. Using props like blocks, straps and bolsters can assist you in getting deeper into your hamstrings safely and effectively. There’s no rush to have super flexible hamstrings. Take your time, listen to your body and always remember to be gentle with yourself.